To move up on onwards people have this idea you need to take on more responsibility and get better results and faster. But really how is that possible? Do you see any of your senior management team or CEO running around like a crazy person trying to do more and get more done, probably not. I don’t even see directors doing that. So why is there some idea when people are at the individual contributor level that more is better? It’s not, in fact, more is less. The more you do, the less better it becomes. It’s a cycle to keeps you at the individual contributor level. What distinguished managers from individual contributors is the ability to let go. To find someone you trust who is capable, who is driven and who will deliver. Once you pass off the work (note: pass off is not equivalent to dumping) you free yourself up to take on new and challenging work that grows you. Sometimes even then you aren’t a manager, but the ability to let go is one that great managers have. They hire great people who deliver great work. Don’t know how to let go because you “can’t”? Think people require you do to the work you want to let go of? Here is a negotiation trick I learned early in my life, say about 13, you tell the people who want to see you succeed, presumably your boss, that if you cannot let go of the work then the opportunity to take on this new and exciting challenge just won’t be possible. Simple right! You will be surprised how well people will respond when you lay out the facts. Great managers will find a way to reshuffle, reprioritize and make a great employee (like yourself) have the opportunity to develop. Remember, your success is actually their success. 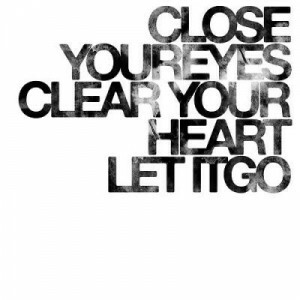 Happy letting go.